Tottenham are ready to break the bank to sign Crystal Palace winger Wilfried Zaha, reports Squawka. The North London club saw their £15 million bid for Zaha rocked back last summer, after several reports claimed Zaha told Alan Pardew that he wanted to join Spurs to play Champions League football this season. Tottenham boss Mauricio Pochettino has always been a big admirer of the 24-year-old, who recently switched back his allegiance from England to his country of birth, Ivory Coast. The Argentine has identified the talented winger as a player with versatile talent, and someone with the right coaching and guidance could be a big hit at the White Hart Lane. Pochettino is desperately looking to add some attacking options to his side, which at times has found it difficult to make their dominance count. Spurs haven’t been big spenders when it comes to the January window, so any potential move for the winger would be ideally held off until next summer. But Palace will be keen to hold on their precious academy product, who has played 17 matches and bagged three goals and six assists this term. 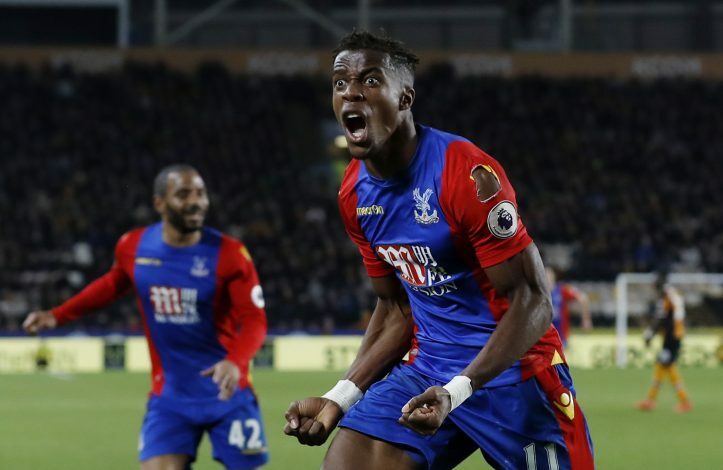 After a failed and forgettable chapter at Old Trafford, Zaha decided to return to Selhurst Park on a five-and-a-half year deal in February 2015. Meanwhile, Pochettino has to continue with winger Georges-Kevin Nkoudou, who has really struggled to make an impact since his move from Marseille in August. Zaha, on the other hand, is odds on with the bookies to join the North London side, and it now looks like a question of when, not if he signs a Spurs deal.